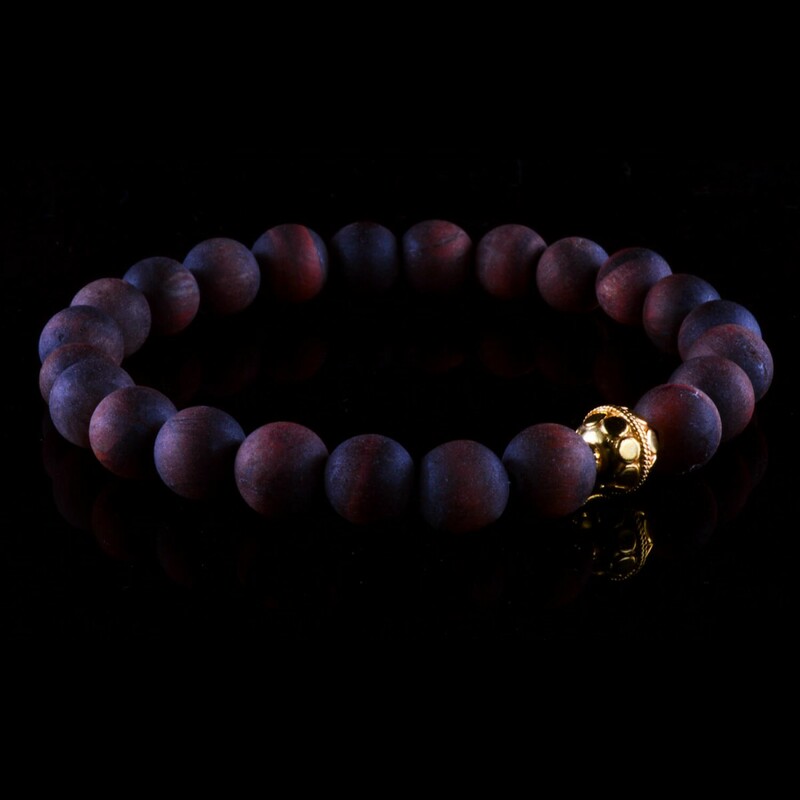 An 8mm sized mixed bracelet with the beautiful matte Red Tiger Eye, complemented with a Vermeil gold handcrafted bead. 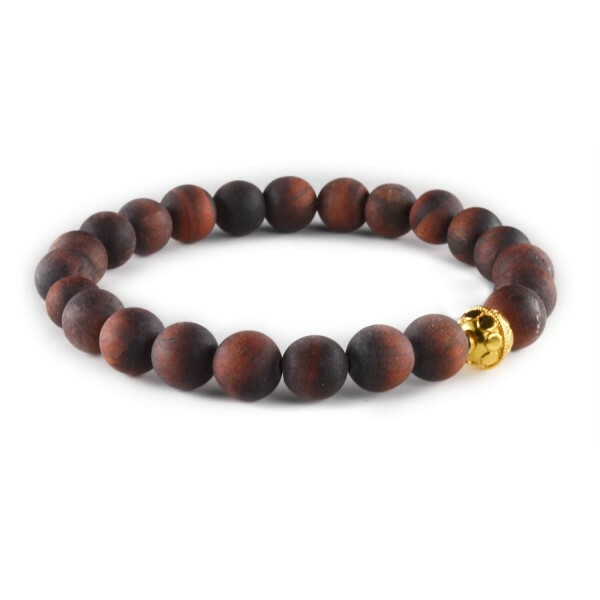 Tiger Eye: Tiger Eye is a stone of protection that is also very stabilizing and grounding. It enhances integrity, willpower, self-confidence, practicality and correct use of power. Vermeil is 24k gold plated sterling silver (2.5 microns thick). Solid gold would be a lot more expensive. It's better than Gold Plated. The core of gold-plated items can be made of different metals, and there is no restriction saying that a particular metal needs to be used. In contrast, gold vermeil should always be made with silver as the main metal used to create the core. Otherwise, the piece cannot be sold as vermeil. This requirement is the biggest difference between general gold-plated items and vermeil pieces. Our 24k Vermeil Gold is a base of sterling silver with a coating of gold that is 2.5 microns thick. The gold coating eventually wears off, which exposes the silver underneath, the silver tarnishes as it is exposed. The coating wears off quickly on rings that are worn every day, necklaces and earrings for example hold onto the gold for a longer amount of time. Protecting the vermeil's gold coating helps to protect it from tarnishing. For this reason, we recommend not exposing vermeil to rough surfaces or water. Please note that chlorine permanently damages or discolors vermeil, and chemical jewelry cleaners may strip the gold off of the vermeil.